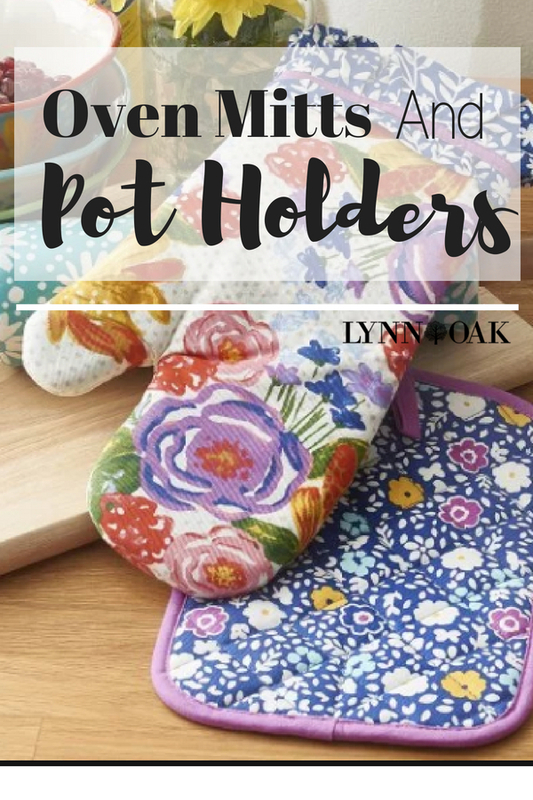 As you might have read in another post I am in great need of new oven mitts and pot holders. Mine look awful and I'm ashamed to even break them out when company comes over for dinner. I'm off to my favorite online store to see what I can find. I started looking and really liked the sets that paired up both for me. Nice! The colors are amazing and I was surprised by some of the brand names I was finding. Who knew Kate Spade had them too!? When I started looking I was just finding plain color ones, but when I dug even deeper I found some really cute patterns that would match my kitchen perfectly. Check out what I found below. I pick 5 of the cutest sets they had at the time of this writing.